"Don't Be Blinded by the Headlights"
Reward / Immunity challenge: "Manila Folders" - Tandang beats Kalabaw (and the hapless Matsing) at dragging tile sleds and doing three puzzles, wins immunity plus tarps and blankets. 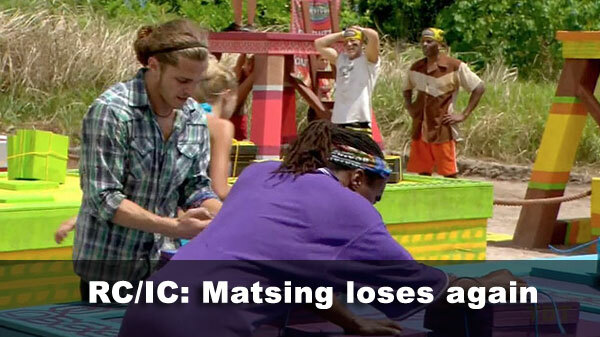 Kalabaw escapes with a tarp; Matsing returns to Tribal Council. 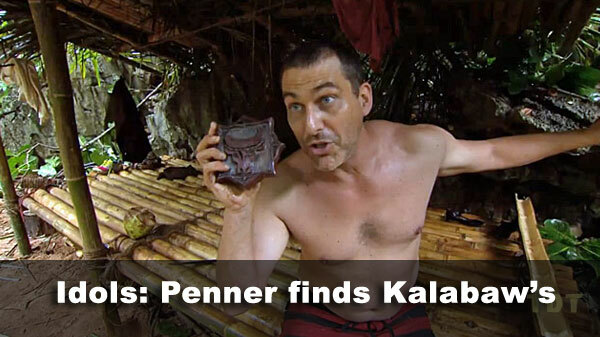 Idol time: Penner finds Kalabaw's hidden idol, finally. Voted out: Roxy, 4-1 over Angie. Notes: Fairly standard scoring here, again with Tandang (first place) getting full credit for their win, Kalabaw getting a half-win. And Matsing nothing, of course. 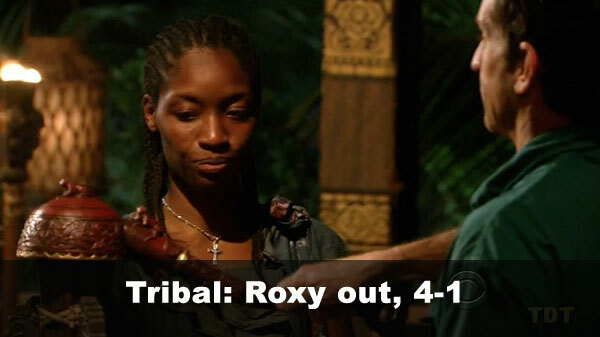 - Roxy received 4 votes, from Denise, Malcolm, Russell, and Angie (voted out, 4-1). - Angie received 1 vote, from Roxy.